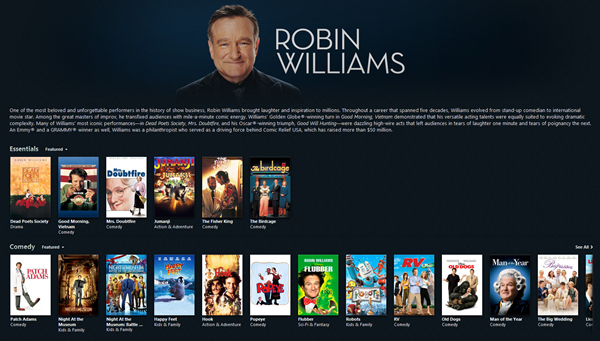 As part of a touching tribute to the American actor and stand-up comedian Robin Williams, Apple has created a unique section withi its iTunes Store that houses a number of his globally loved movies as well as some of his most famous comedy routines that made him a household name around the world. The “Remembering Robin Williams” section of the iTunes Store is Apple’s method of paying tribute to “one of the most beloved and unforgettable performers in the history of show business“. One of the most beloved and unforgettable performers in the history of show business, Robin Williams brought laughter and inspiration to millions. Throughout a career that spanned five decades, Williams evolved from stand up comedian to international movie star. Among the great masters of improv, he transfixed audiences with a mile-a-minute comic energy. Williams’ Golden Globe-winning turn in Good Morning, Vietnam demonstrated that his versatile acting talents were equally suited to evoking dramatic complexity. 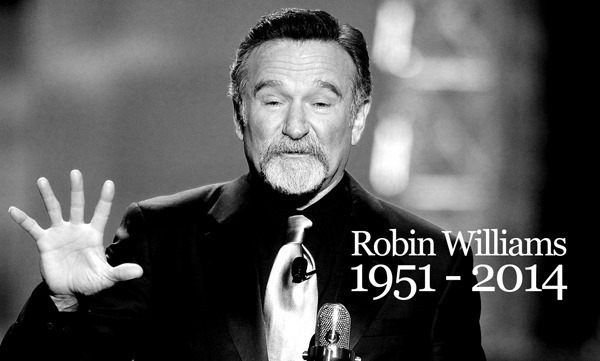 Many of Williams’ most iconic performances–in Dead Poets Society, Mrs. Doubtfire, and his Oscar-winning triumph Good Will Hunting–were dazzling high-wire acts that left audiences in tears of laughter one minute and tears of poignancy the next. The death of one of Hollywood’s finest is clearly one that has been felt hard within Apple. The company’s CEO Tim Cook publicly declared via his Twitter account that he is “heartbroken” by the news. As Cook so eloquently put it, “he was an incomparable talent and a great human being“. Rest in peace Robin Williams. The world will miss you. You can check out the complete collection by heading over to this link. Like we mentioned above, there are plenty of great classics on offer, and there’s no better to relive Robin’s work, so be sure to check out what’s on offer. Touching tribute or quick cash in ? Williams was a legend – RIP. If it was a tribute, they should have made them all free for a 24 or 48 hour period. This is nothing more than a easy cash grab. Robbin Williams – good clean family fun at a time when the world is full of hateful jokes with swearing or racist connotations. No doubt his family will receive £$€¥ from royalties. Make it free & only apples wins through cross sales. Hopefully they can use the money to help others suffering from alcohol induced depression.